When I’m tired I feel like hanging out at home and since it’s October and we wandered around the dollar store yesterday for Halloween decorations, we might as well get into the spirit and decorate at bit. “Mommy we haven’t done art together in ages”- guilt ridden mama had to make time today to do some art with Kiddo. Oye I feel horrible. 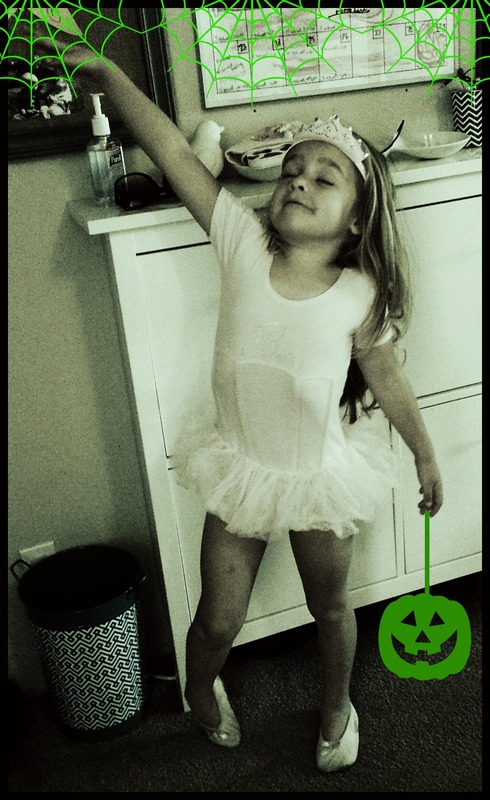 So with decorating on hold, it’s time to be creative with Kiddo. 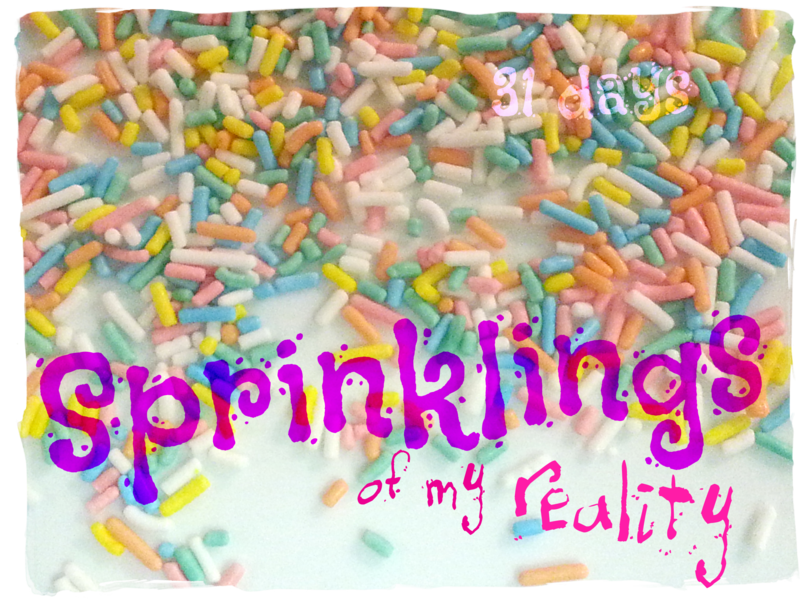 Remembering a project from decades ago, we gathered our supplies and got messy. 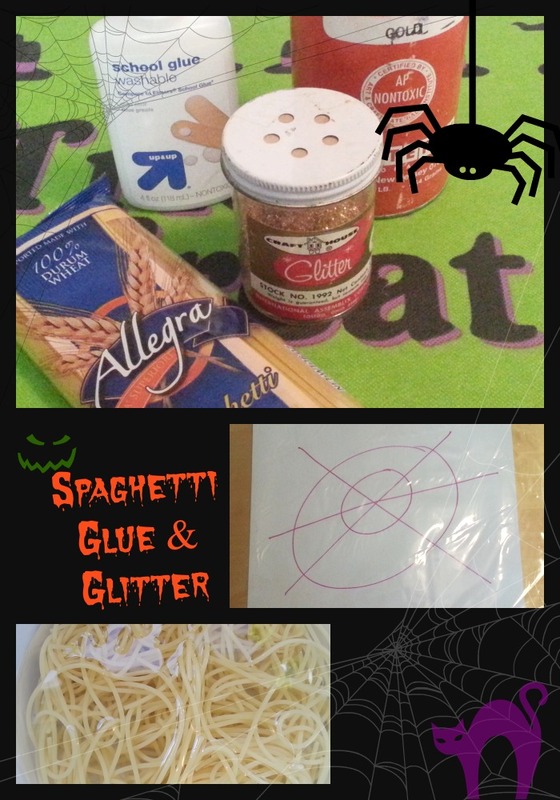 What you will need, very simply, pasta, glitter & glue. First, Mama cooks some pasta, al-dente please. Added bonus- if your kid likes spaghetti cook extra from lunch, my kiddo always chokes on spaghetti so no added bonus for us today. 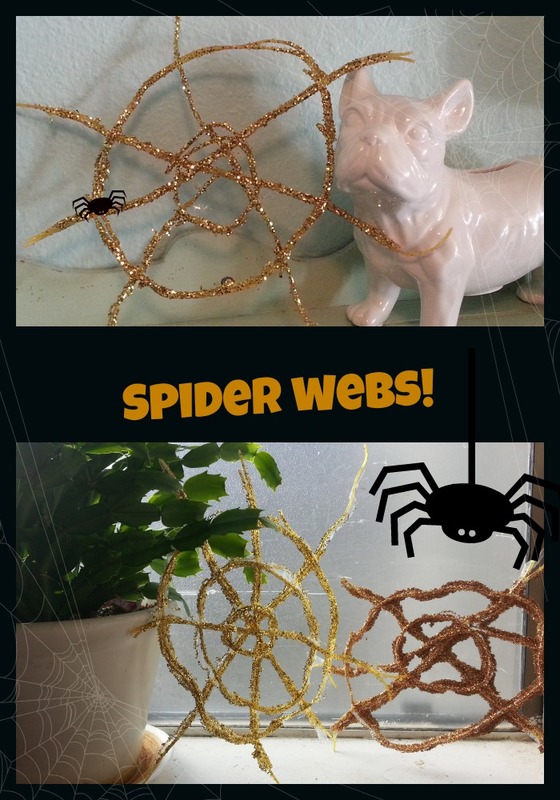 While the spaghetti is cooking, I drew a picture of a spider web on paper, to help kiddo out a bit, and covered it with plastic and Kiddo got “Fashy” to be creative. When you have al-dente spaghetti let it cool then your ready to get messy! Added the cooked spaghetti to the bowl, cover it with glue and glitter and mix it up with your hands. 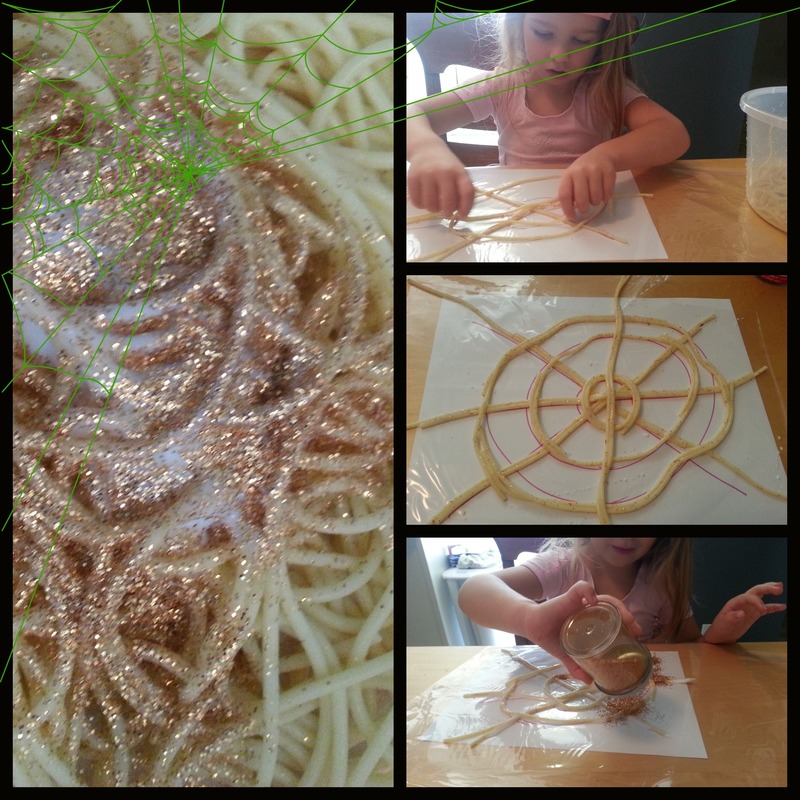 Then create spider webs on the plastic cardboard or plate. Add some extra glue and glitter why not, and then let them dry (this takes FOREVER! like 24 hours FOREVER). Once they are dry carefully pull them off the plastic and hang them up. Pretty cute for a quick project, but more important got to spend time with Kiddo doing art. You and your “fashy” girls – love it! Man O Man are you FUN! !